Did you know that Dr. Grant is a 5th degree Black Belt in Tae Kwon Do/ Hapkido? 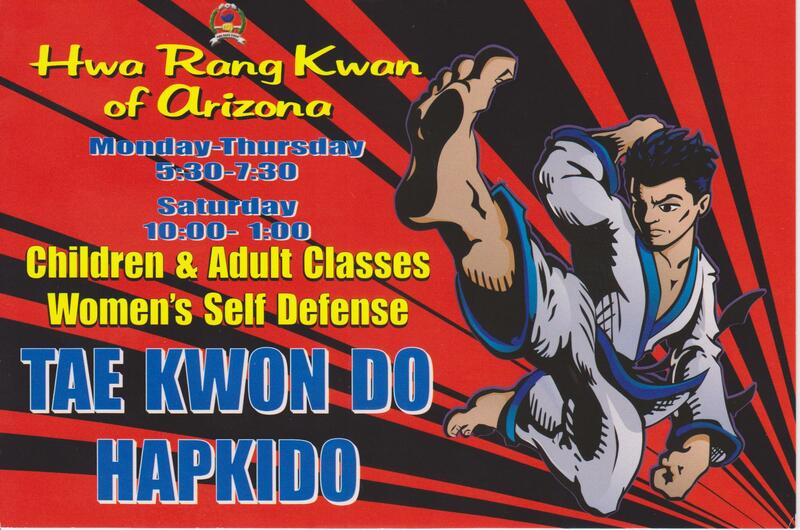 Hwa Rang Kwan of Arizona and Master Smith are offering Classes for Adults and Children and Women’s Self Defense. Classes are Monday – Thursday from 5:30 – 7:30 and Saturday 10:00 – 1:00. Come learn self defense and discipline. Location: 17029 E. Enterprise Drive #6, Fountain Hills, AZ 85268 You can call 602-499-5990 or 602-616-8209 for further information.